Traditions out, innovations In—10 ways to make your wedding different! Home > Wedding Tips > Traditions out, innovations In—10 ways to make your wedding different! Anyone…..yes anyone, can have a traditional wedding! Most couples limit their experiments to the palette or decorations at the wedding, and play it safe. At times, this is all it takes to make the wedding memorable. At other times, it may be remembered for a while, but is then quickly burrowed in the memories of your guests when newer and more interesting things capture their attention. So, how do you make sure that your wedding is remembered forever? The only way is to do something entirely different and unexpected, that it settles permanently into the memories of all at your wedding. This isn’t too difficult, and here is all the help you need with ideas. Get ready for some inspiration, and build your own vision from what we have in store for you. Let’s begin with the star of the show, the bride herself. The wedding dress has always had to be white. So, start by working against this itself. 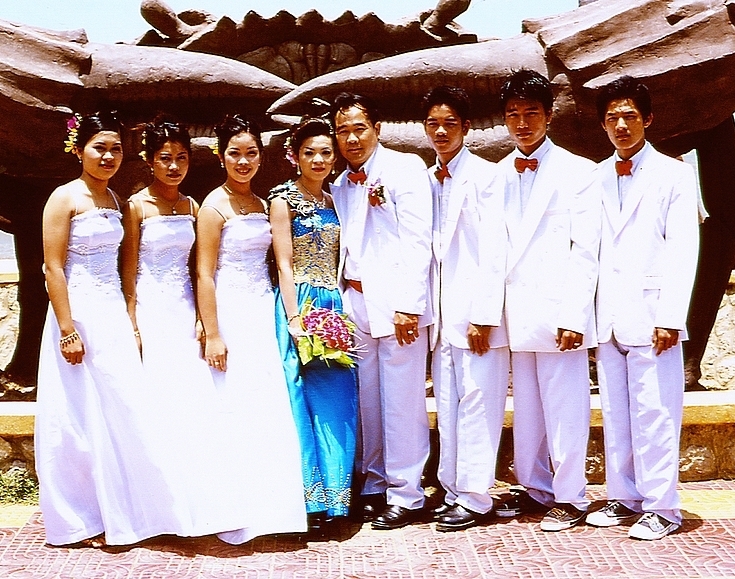 Now, we all know that colored wedding dresses are not a novelty, but you can make a drastically different statement style by putting all your bridesmaids in white, while you walk down the aisle in a beautiful colored gown. Imagine the scene! Don’t you feel that this will definitely be a winner? Choose the dominant color from your wedding color palette to get the look right. Dark hues like navy, red, purple, golden and black are all great choices. If you are a bride who’s never really liked the idea of wearing white, we think this is a definite alternative for you to consider. And, with your bridesmaids in white, imagine how beautiful your wedding pictures will be with them in the backdrop of your wedding pictures. The best thing is that you will have no difficulty finding a fabulous gown in any color, from our wedding dress collection at Best for Bride. Our Alfred Angelo Disney collection features many stunning wedding gowns in a range of colors, and it is just one among the several other collections. We’ve seen enough bands in gold, silver and platinum. Many couples do not step away from tradition, where wedding bands are concerned. But, have you ever considered that your wedding ring should be a piece of jewelry that will forever appeal to you? Consider having a quote engraved on the inside, such that the quote is split into two and the halves go on either of your rings. It will be a special secret that the two of you can always enjoy, and an interesting extension of the fact that you both complete each other. 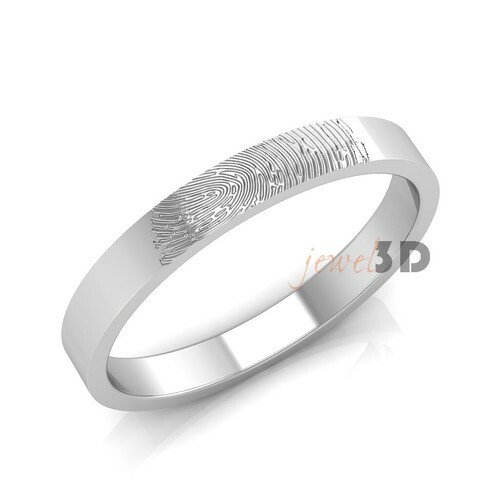 Choose a fingerprint ring, which is engraved with your beloved’s fingerprint on the inside. Just like your partner’s fingerprint is unique to him, so will this ring that is the symbol of your love. The third option is to make it almost traditional with a gemstone, but do it differently where the choice of the stone is concerned. We suggest brilliant colored stones like saphire that make a statement appearance, or you can also consider chossing a different color like rose gold for your ring so it looks unique. You can find more ideas for unique wedding rings at the Brilliant Earth website here. Floral bouquets are beautiful and refreshing, but they are usually pretty expensive. Remember it is not only the bridal bouquet that you need for your wedding, you’ll also have to consider the price for bridesmaids bouquets, boutonnieres and any other floral décor that may be part of your wedding scenery. While you may not be able to do away with all the floral elements at your wedding, especially if your theme demands the presence of these natural beauties, you can still reduce your floral budget by looking at alternate choices where possible. 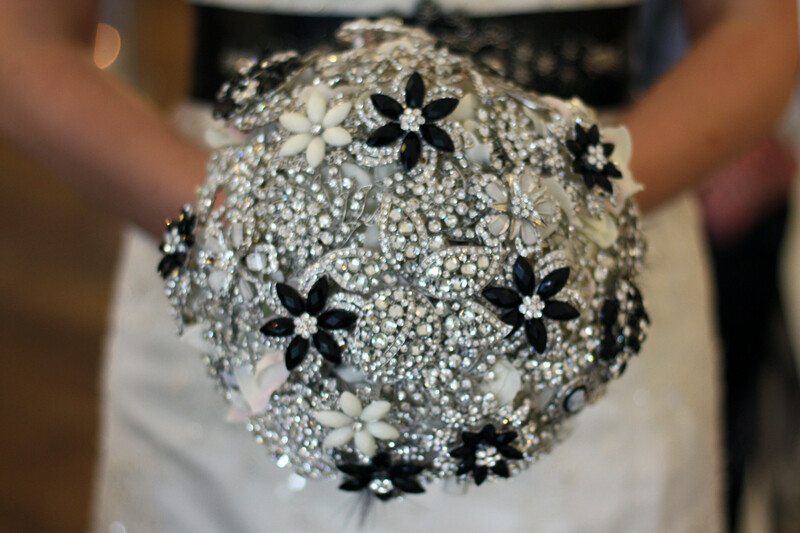 Start with the bridal bouquet. How about considering an alternate bouquet made from paper, dried flowers or even brooches and buttons for an unusual and attractive effect. Or you can hold on to a flower bouquet yourself, and have your bridesmaids march with paper flower bouquets, fabric bouquets or decorative bouquets instead. Non-floral bouquets can feature anything, from feathers to ferns, to look attractive and dramatic. We simply fell in love with this beautiful article on Popsugar, featuring 18 unusual bouquet designs. From artichokes and brooches, to pinwheels and ribbons, you will find some of the least unexpected items featured in these bouquets. 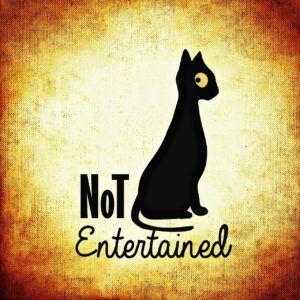 So, do check it out. The guest book isn’t necessary, as long as the essence of the overall idea isn’t lost. 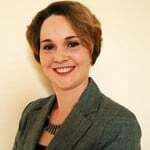 Nevertheless, it is an area where you can make it interesting by choosing an innovative and different approach. We love the idea of using a shadow box or wishing well, where your guests sign their names onto scrolls and drop it into the box, with their brief messages and well-wishes. 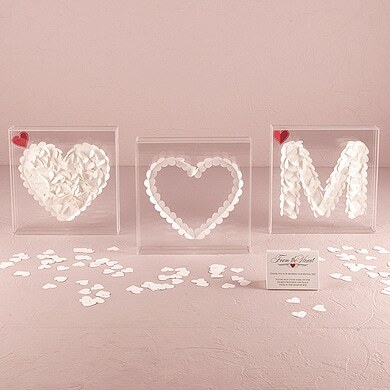 Featured here, is a shadow box with a heart motif that is both classic and relevant to any wedding theme. Once it is filled with the wishes from your guests on your wedding day, seal it up and make it a permanent display in your new home. You can even consider hanging it up, if that is what looks better in your home. To check out this guest book alternative, or look at the various other options we have, we suggest you visit this page on our website. You know how exciting it is to eat pizza out of a takeaway box! 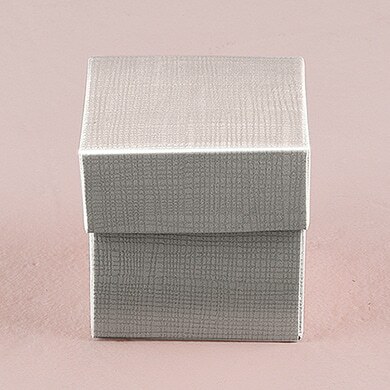 Let your guests enjoy the same, by making your casual wedding party a hit with boxes in place of plates. Not only will it be a feature that nobody can ever forget, it will also create that informal and fun effect that a casual wedding deserves. You can always do it in style, by having specially created custom boxes with your initials or a special logo that matches the wedding theme. 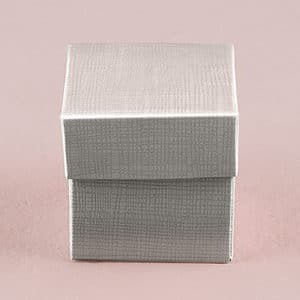 If you want something more classic, consider replacing the plain cardboard boxes with something more ornate or with an intricate print like fine filigree or pretty damask details. It will be an interesting idea that will capture your guests interest immediately. Best suited for casual theme weddings, we can see how practical it will be at a beach or garden wedding. What do you say? 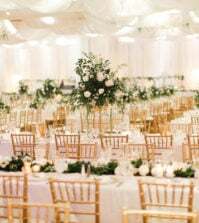 Continuing with the idea for boxes at a casual wedding above, you can take the effect even further by choosing different seating arrangements for your wedding. How about benches instead of chairs, that are so expected? Or consider having cosy couches in a cafe fashion arranged for a warm winter wedding. All these are so casual, that it will do most of the job of creating the casual ambiance that you aim for, at your wedding. Wooden benches would be perfect for a garden wedding, but you can really make them statement pieces if you choose them for an outdoor wedding where the benches will be placed in rows along a long table. It will be very informal, and perfect for a vintage theme. If you have this arrangement in a barn or gazebo, it will be both practical and interesting. One of the areas where couples spend a huge amount of money is the drinks that are served at the wedding. Save on the drinks budget, even while keeping your guests happy by serving one or two signature cocktail drinks that tie to the theme of your party. Make it interesting and festive with the addition of attractive color and garnishes that are too good to be ignored. Let the drinks glasses double up as party favors, by simply adding tags with your custom theme print or initials to it. 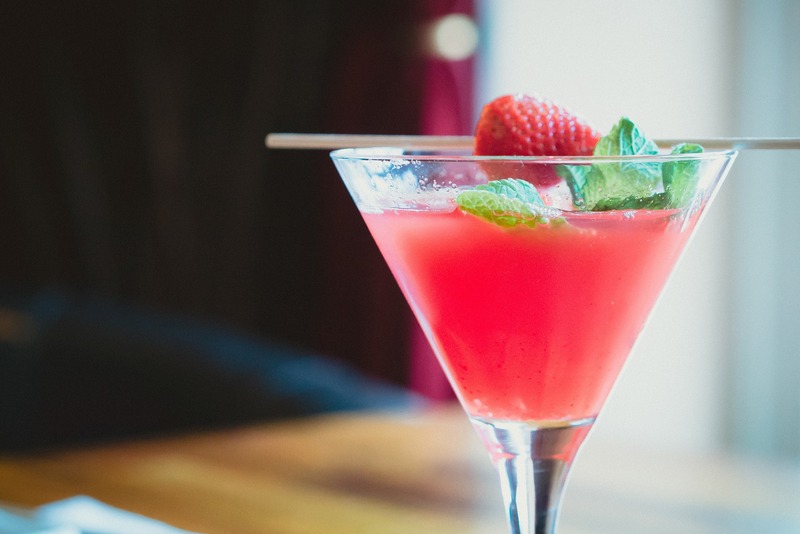 As long as you choose interesting drinks whose taste will go down well with the majority of the guests at the party, an open bar service will not be missed. Also, it will create a lasting impression. This interesting DIY guide on the Martha Stewart website will direct you to several impressive cocktails. So, check it out and find one that you favor. The bouquet toss has a long-standing tradition, and so may be difficult to actually “toss” off your wedding schedule. So, keep it in your plan, but make a variation. How about changing the idea of having your single friends line up in queue to battle for the bouquet? Instead consider gifting it to the couple at your wedding who has been married the longest number of years? This idea that we found on the Weddingpartyapp blog is just perfect, when we consider how meaningful it is. It suggests that there be a dance for all the married couples. As the Emcee announces the years in a progressive manner, the couples who have been married for that long can be eliminated from the dance floor. 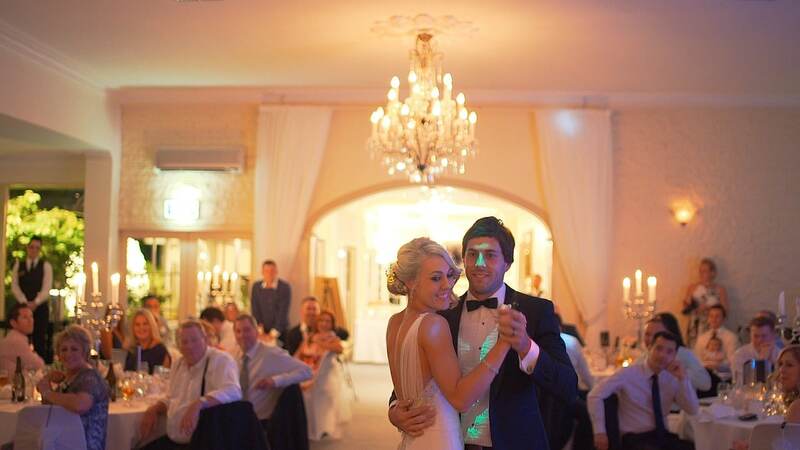 Continue in this manner, till there is the longest married couple on the dance floor. Now, all you have to do is gift them the wedding bouquet. How brilliant is that? Wedding ceremonies can be lovely to some, but most of us wouldn’t really mind skipping the long program, if we had a chance. Don’t frown upon guests like us at your wedding. Instead make their lives a lot easier by handing out a program that will keep them smiling throughout the ceremony. We found a beautiful example on this article at the Weddingpartyapp website, and the very front page is bound to bring on a chuckle. Well, anything that says, “A Practical Guide to not falling asleep and Figuring out just what exactly is going on” has to top the list. Don’t you agree? 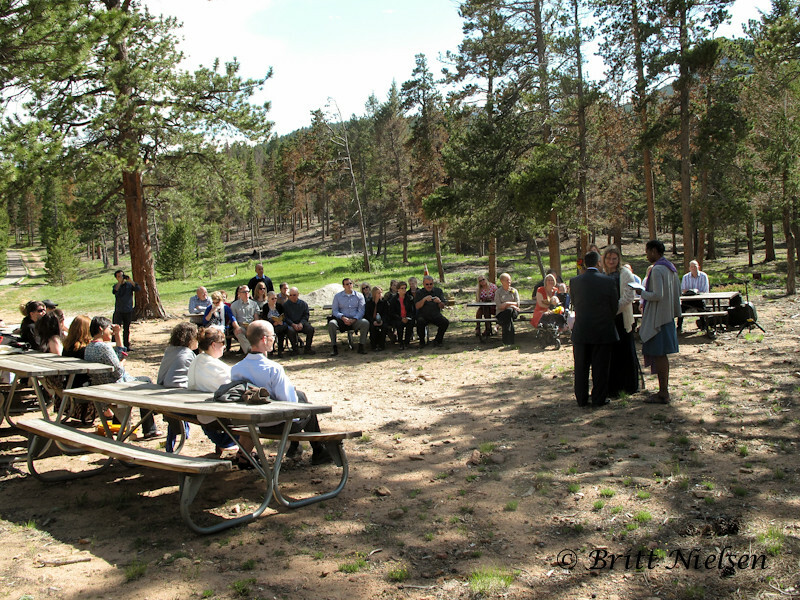 Check out this and many more fantastic alternative wedding ideas, by visiting this article here. Your wedding is unique, and so should your wedding favors. While some wedding favors look fancy and attractive to a guest, when they first receive it, few are good enough to be saved forever. So, when you choose a wedding party favor, make sure it is one that is rare in some aspect and it is likely that they will hold on to it. Here is an example from our collection at Best for Bride. Perfect for a travel-themed wedding, an adventurers compass is a trinket favor that is unusual in many ways. 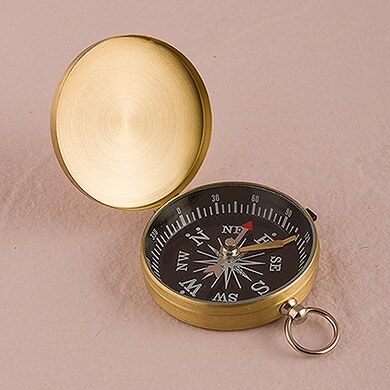 If not for the beautiful look, compasses are often associated with a bygone era and this makes it very interesting. Whether it is to simply be displayed in the house, or carried as a lucky charm by the adventurers at heart, it will be a different favor that will be special just because of what it is! It is not something that everyone will obviously own, but definitely one with an endearing appeal, so it will be kept. There are so many brilliant ideas out there, to help you carve out your own signature wedding style. All it takes is that one special element to make your wedding memorable, and here we have provided you inspiration for ten. Hope you find this useful, and are able to use this as the starting point to planning your own fantastic wedding that will be remembered forever and ever! For more wedding planning tips, advice and all your shopping needs, keep visiting us here at Best for Bride. Fingerprint rings!? Are those real? Getting around the typical trends and traditions is not very easy when you are planning a wedding, but that is what I want to do.